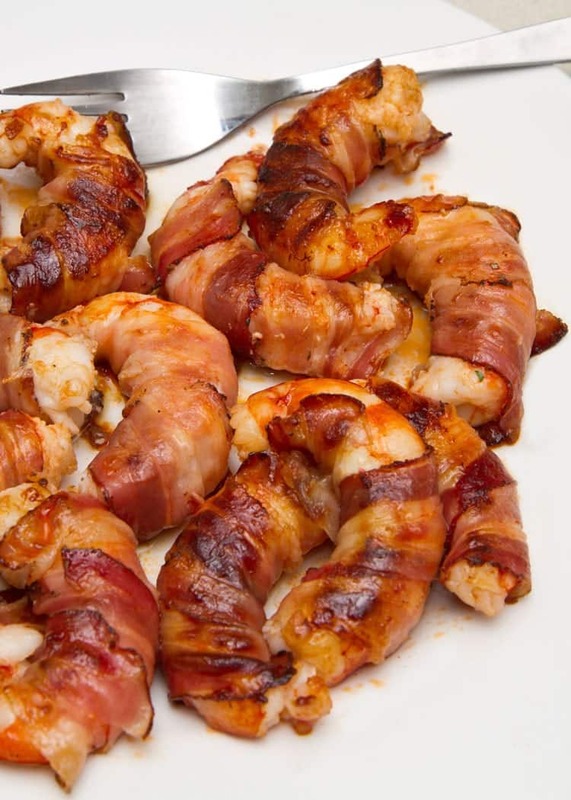 Ah, shrimp and bacon. 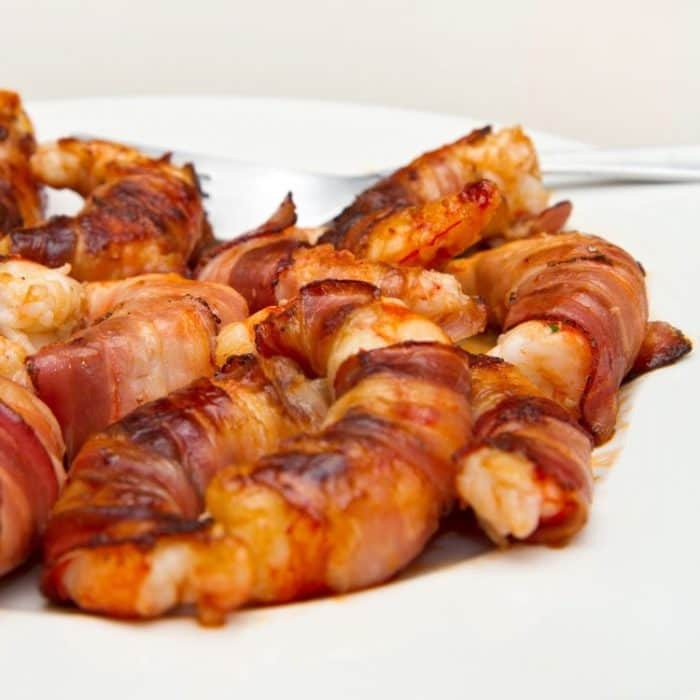 Two of our very favorite things when it comes to food merge into a delicious Bacon Wrapped Shrimp appetizer of perfection. 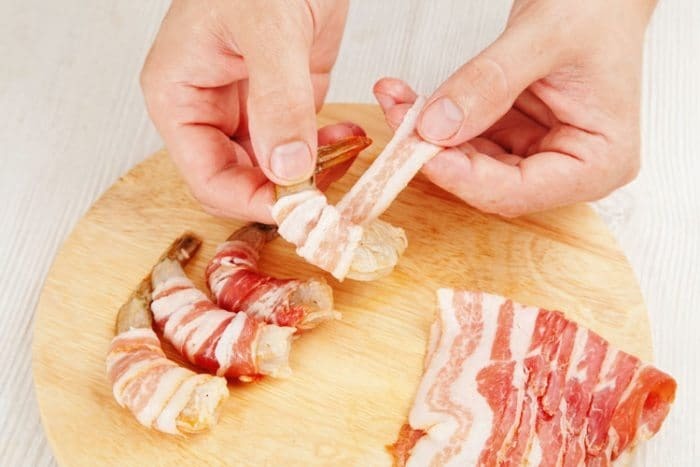 And, let’s face it…how many recipes do we whip up where the inclusion of bacon makes something plain into something that is just plain extraordinary? The thing about recipes that some people don’t understand is that they are simply a starting point. Take for instance stuffed mushrooms. We have a superb stuffed mushrooms recipe, if we do say so. However, sometimes we mix that recipe up a bit and add in some bacon just to take it up a notch. Not that it needed it…but it’s still worthy of a taste test or two. Recipes are made to be changed. The thing about recipes that some people don’t understand is that they are simply a starting point. We were reminded of this when watching an interview recently of a famous chef. He understood that a written recipe is merely a record of how something was made at a specific time under a certain set of conditions. Think of it like a science experiment. Like our nearly famous (in our neck of the woods anyway) Chicken Salad or our Poor Man’s Soup recipes…both of these can be adjusted to your heart’s desire to make the recipe your own. Add your favorite seasonings. Add your favorite crunchy vegetables. Change the humidity, the heat (because not all ovens and stoves heat the same), change the density of the pan, the quality of an ingredient, the juiciness of a tomato–its nearly impossible to recreate a recipe to an exact science where every minor detail is precisely equal. So…we adjust. Recipes are fluid and ever changing…which means, adjusting them here and there to add in a favorite ingredient such as bacon–well, it’s simply expected. 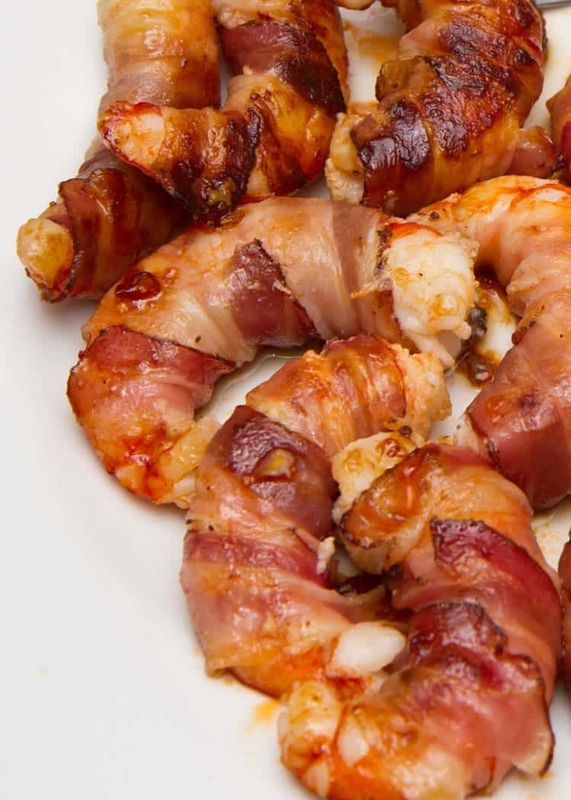 We love these broiled shrimp and bacon wrappers. They are simple, but you can always dress them up with some extra butter and herbs, stuff the shrimp with cream cheese, and so on. Remember…recipes are made to be amended, so never fear. Getting ready for a party? Here are a few more recipes to consider: Apple Caramel Cheesecake Trifles, our favorite meatballs, and don’t forget our Fruit Kabobs. Turn on the broiler and allow it to heat while preparing the shrimp. 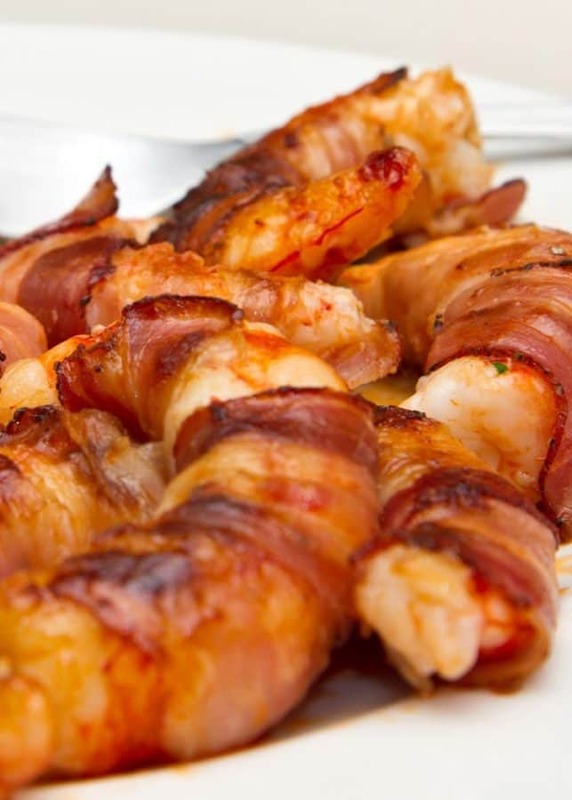 Wrap one slice of bacon around each piece of shrimp and secure it with a wooden toothpick. Place the melted shortening in a mixing bowl. Stir in the Parmesan cheese until blended. Add the garlic and lemon juice and whisk until completely combined. Brush each shrimp thoroughly with the sauce. Place in a single layer on a broiler pan. Broil 6 minutes, turn and continue broiling 5 minutes or until the bacon is crisp. Serving Size: 4, These little wonders make great appetizers before the Valentine’s meal or can be used as the main course. 1/4 teaspoon salt and 1/4 teaspoon of pepper can be added to the sauce if you wish.